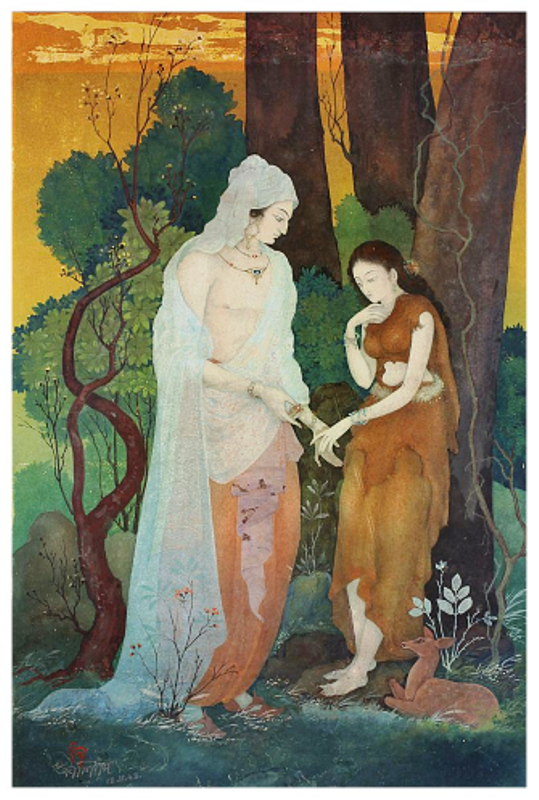 Kalipada Ghoshal retains the bark in his painting of Shakuntala. Though I am not entirely sure about Dushyanta’s attire. This entry was posted in Ancient India, Art, India, Romance and tagged ancient, bark dress, history, Kalidasa, painting, Sanskrit, Shakuntala. Bookmark the permalink.